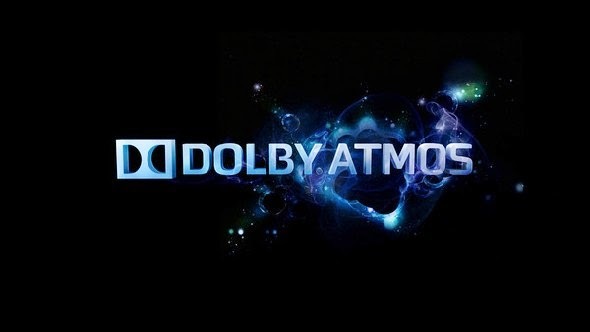 News: Dolby Atmos coming to your home cinema… soon! Dolby Atmos coming to your home cinema… soon! Dolby Atmos® delivers captivating, multi-dimensional sound that places and moves specific sounds anywhere in the room, including overhead, to bring entertainment alive all around the audience with astonishing clarity, power, detail and depth. Dolby first introduced Dolby Atmos in a cinema in 2012 and since then all the major Hollywood studios, seven Academy Award® winning directors, and 16 Academy-Award winning sound mixers, among others have adopted Dolby Atmos into their productions. This year, home theatre enthusiasts will be able to enjoy Dolby Atmos in their home theaters when Dolby Atmos is introduced into some home theatre receivers and processors. D+M brands - Denon and Marantz - leading manufacturers of premium home and personal audio products, are set to introduce Dolby Atmos in their higher end AV models later this year, and we’ll make sure we have them setup to show off this exciting new surround sound format. “Only Dolby Atmos delivers multi-dimensional sound that fills the room to make every detail come alive, whether it is the roar of a racecar speeding around the track, the whisper of wind, or an arrow shot across the room. It’s a ground-breaking achievement for home theaters,” said the Vice President of Global Marketing at D+M. Dolby Atmos compatible products will require enough processing power to run a more enveloping, calibrated 9 or 11 channel layout using 5.1.4, 7.1.2 or 7.1.4 configurations utilizing ceiling mounted, or Dolby Atmos-enabled speakers. A 5.1.4 speaker configuration is based upon a traditional 5.1 speaker layout complemented by 4 overhead, or Dolby Atmos-enabled speakers. A 7.1.2 configuration is based on a 7.1 speaker layout with 2 overhead, or Dolby Atmos-enabled speakers and a 7.1.4 configuration uses 4 overhead speakers. The overhead speakers are certain to create a three-dimensional sound stage never heard before and we’re eagerly awaiting these new models. We’ll be publishing updates regarding our Dolby Atmos installations on Facebook as soon as the products are available – so like us on Facebook and we’ll let you know how it’s progressing.